Congrats! Hope you love it!! Shelley has offered to give us a SIGNED copy of Settling and a bookmark for an INTERNATIONAL givaway! Thanks for the chance to win this, I hadn't heard of this before. 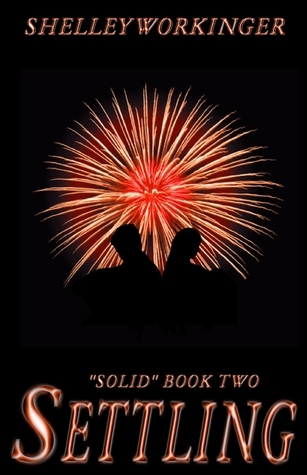 I loved SOLID and cannot wait to read the sequel! :) Thanks for the wicked giveaway! Enter me please! Sounds like a good one. I loved Settling so much more than Solid. I could NOT put it down. Ohhh ... definitely count me in :-)! Thanks for the giveaway, please enter me. Yes I would love a copy of the book. Thanks for the giveaway! I have been wanting to read this series! I'm a follower! Old follower here :) thanks so much for the giveaway... Although i still need to read SOLID, I can't wait to dig in! Oh I SO want to read this!!!! thanks for the chance, giveaway and making it internationally.. Solid was awesome, can't wait to read the sequel! Thank you so much to Reading Teen for hosting me, and to who all the readers who are checking out my new series!